Saturday evenings are special in my house. 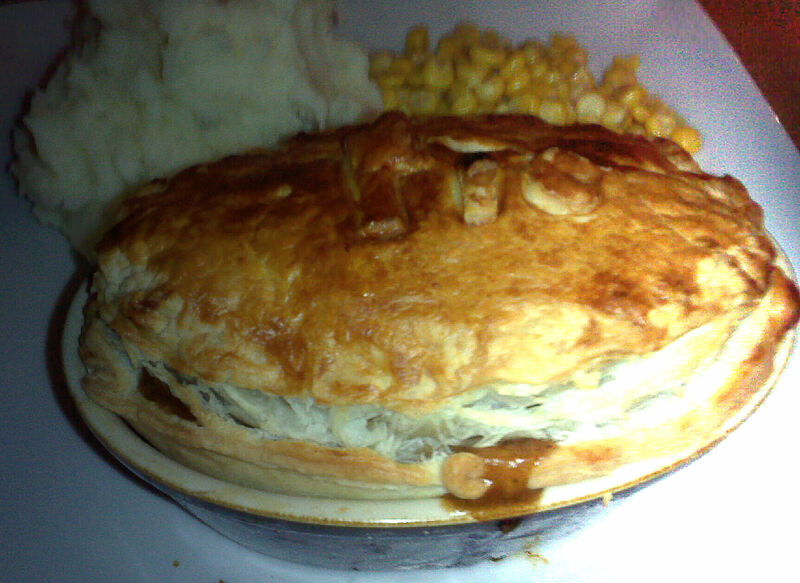 On a Saturday, my husband cooks dinner for me, forcing me to sit in the living room and ‘relax would you woman, for god’s sake’ This evening he made a mushrooms and ale pie, which was deeply delicious, and perfect for the weather (dark, cold windy, rainy). The recipe came from the new ‘Cook Vegetarian’ magazine (with some modifications) and we’ll definitely be doing it again. back on the heat, and add in the marmite and the ale. cook for another 5-10 mins until the mushrooms are softening, and the gravy is thick. Line 2 individual pie dishes with pastry, divide the mushrooms between the too. Don’t overfill them. Brush round the edge with milk, top with a pastry lid, and pinch right the way round to get a good seal. glaze the top, and make a small hole to let the steam escape. We had this with mash and sweetcorn, and it was gorgeous!